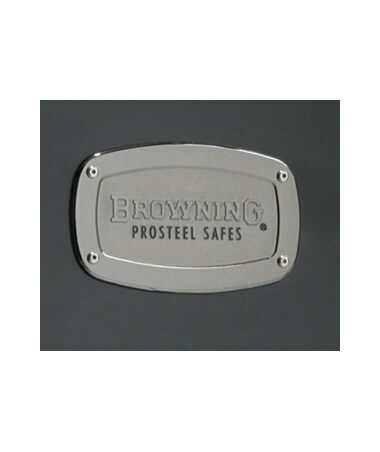 The Browning MP23 25 Gun Mark III Black Label 1 Hour Fireproof Safe has 23 cu ft of storage space. This sleek weapons cabinet will add a note of style to any interior. 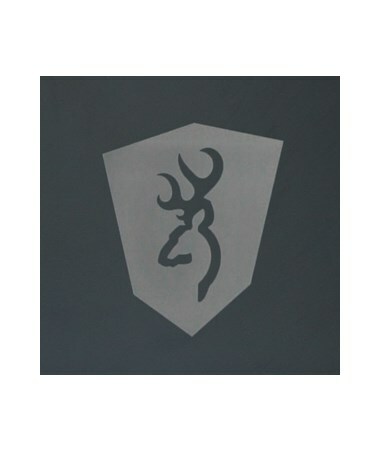 Exterior dimensions are 30”L x 23”W x 58”H. 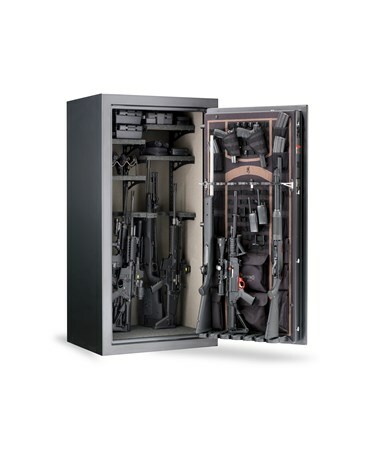 You can fit up to 25 guns in this fireproof gun cabinet. (Actual capacity depends on the actual size of your weapons.) 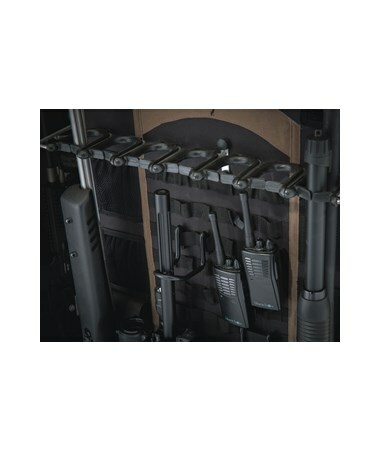 There is a fully-adjustable interior gun rack to help you keep your firearms in order, as well as a door organizer with space for 7 long guns. The inside fittings are plush beige, and the outside has a matte black finish. 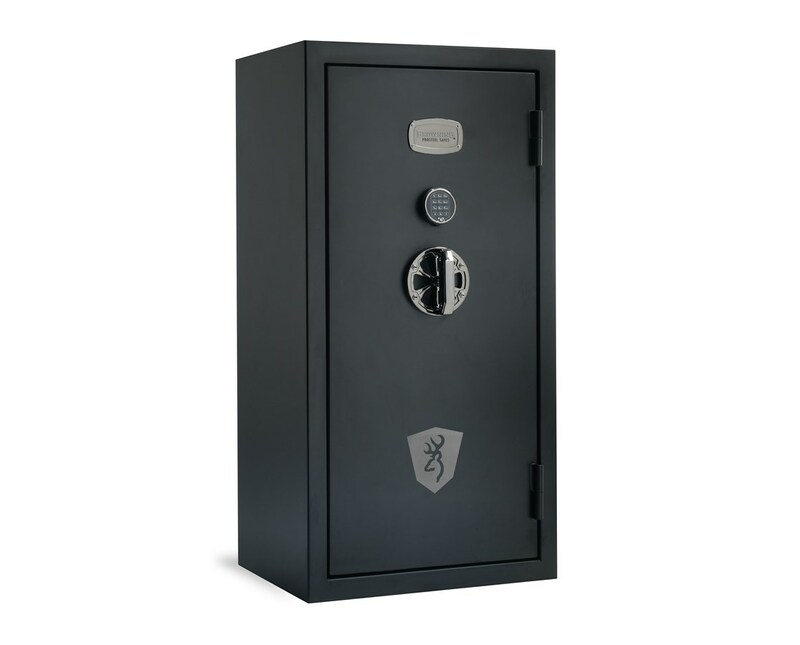 The black chrome trim and tactical-style handle make this one seriously cool-looking gun safe. 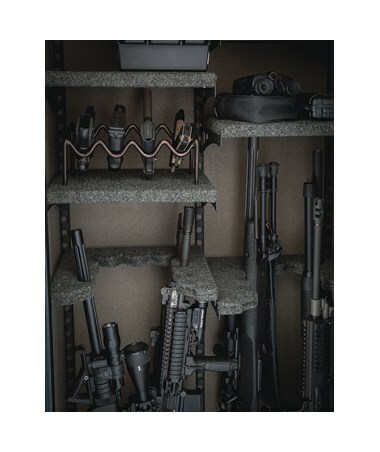 This gun storage cabinet will help keep your belongings cool, too. It has a 1 hour fireproof rating – the outside temperature can go up to 1400°F, but the inside of this weapons safe will stay at or below 350°F. The door is 1” thick, including the fire insulation. 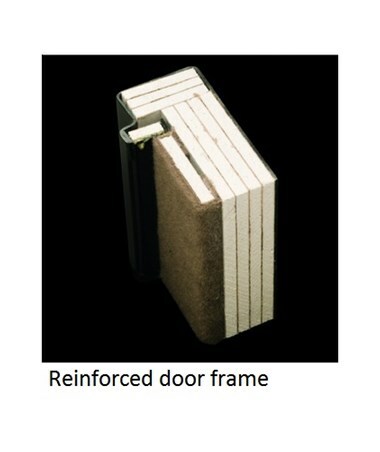 A heat-activated expandable Palusol door seal keeps out smoke and water. 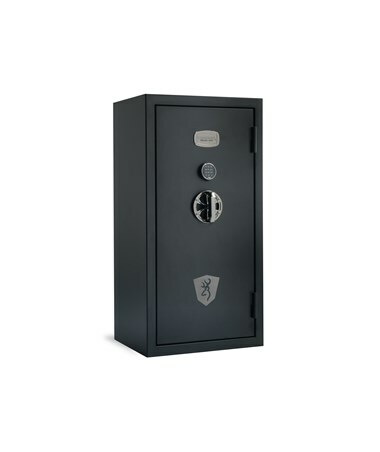 This Browning fireproof gun safe comes with a 5 year limited materials and workmanship warranty and a limited lifetime fire and burglary replacement warranty. Would-be burglars will have a hard time with this tough gun safe, which made of 12-gauge steel with seamlessly-welded body construction for extra strength. 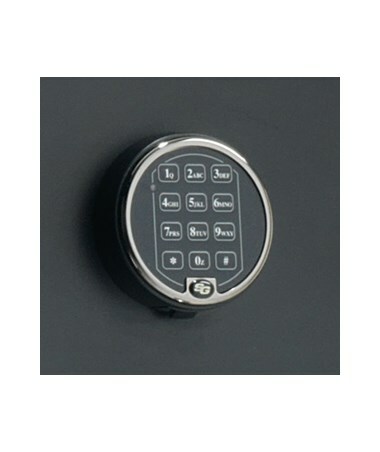 The UL-listed Type 1 Sargent & Greenleaf electronic lock has an internal re-locker that permanently shoots the bolts if the inside of the lock is damaged. A rotating cam system helps stop prying attacks by transferring the force away, keeping the door shut. This gun safe has bolts on all 4 sides of the door. 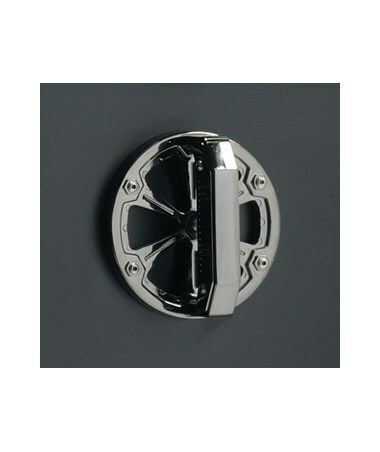 There are 5 solid steel 1” active locking bolts on the front, top, and bottom of the door, and 3 fixed locking bolts on the hinge side of the door, so the hinges can be removed and the door will stay locked. It is highly recommended that you bolt down your weapons safe, and there are 4 anchor bolt holes provided for this purpose. The door is removable to reduce the weight of the same (520 lbs total) and make it easier to transport.